Blog commenting in seo is among from the most powerful method for link building and not only me but many of the top internet marketers also recommend it for better seo rank and getting quality referral traffic also. We are doing this practice for our blog – mywptips.com and getting really surprising results in terms of increase in domain authority, referral traffic, quality back links and making good relations with other bloggers also. Here are sharing effective blog commenting tips because some times many peoples ask me that their comments don’t get approved or they are not getting real advantage of doing this task, to help my these kind of reader friends here shared my guide will be extremely useful. You can find useful blog commenting sites list and dofollow commentluv enabled blogs also for getting back links from the. For making your blog comment more authentic you must use your real image and for this purpose just create your profile on Gravatar and use your gravatar registered email id when you are making comment on any WordPress based blog and just like same create your account on many other comment systems like Disqus, commentluv and others also and use your real image in profiles, in this way you will be able to show your image in comments on other blogs. Many newbies do bad practice and they use keywords in name section which is really hated by search engines and shows un-natural method of link building also and this way stops you in showing your own identity also. If you want to make yourself famous and want to make good relations with the fellow bloggers then you should use your real name while commenting. 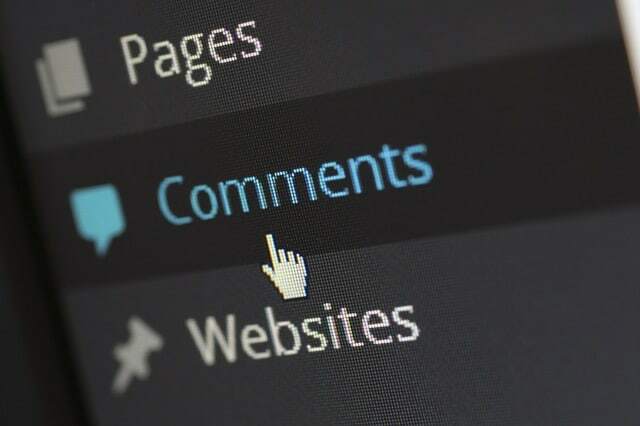 Writing short comments shows like spam and search engines also hate the 1 line comments or using very common language while commenting so try to write long comments and i would suggest you to write comment of minimum 60 to 70 words or more also. Many peoples make comments like “thanks for sharing good information” or “your content is really good, thanks for it” kind of common language comments which shows like spam so it is my strong recommendation that first read the post carefully and then comment so it should be related and will create natural back links also. Creating discussion is my most important blog commenting tips which will make you super star in your niche and the method is very simple, just ask questions or give good solution of question and reply for the comments by any one and there is strong role of question and answer in seo so follow this idea and multiple your visitors and ten times your brand image also. Every expert keep blog commenting in seo as an important part but it should be niche related only, you should not make comment on those blog posts or pages where the content is not similar to your websites content other wise your website may get penalized. Commenting is not for one time links only but you should be regular because one time comment will not make your relations strong with other bloggers so make your rule for making 5 comments every day on new and already used blogs for comments, in this way after few months you will be known as established blogger in your niche and will get good flow of visitors also. If you want to suggest more blog commenting tips then you are most welcome to share your views in comment section below. Great post on blog commenting.Blog commenting play a vital role to drive traffic or get higher ranking if we do it properly. Great tips, could be helpful for my small business. backlinks created by blog comment on high quality niche relevant sites can really improve the ranking on your SERP. Although, i never tried creating a discussion, would definitely go for it now! I learned so many things from this blog post. I have done blog commenting using short words with my company profile. but high page rank niche relevant sites which help to rank our website in higher search engine results pages. Hi great share Avnish. Good to read the brief knowledge you have shared that will help the newbies. Also I would like to share my personnel experience as Blog commenting has seriously helped me a lot. Regular commenting on blogs does help you with increased traffic and the most important, it creates a relation between fellow bloggers and comes up with a healthy conversation. So keep commenting you will experience the change. Your article really informative and great for me. Blog commenting popular way to making backlinks. Your blog commenting tips help me get more ranking on Google. Awesome Tips! Thankyou so much Bro! It is really nice article. Your tips are really helpful to built quality backlinks which are plays very important role in google indexing.